Burgas Airport Taxi » Cheap transfers from Bourgas airport to Sunny Beach, Varna, Nesebar, Sozopol, Kosharitsa, St Vlas, Duni, Obzor. Shuttle service from Burgas airport to Istanbul. SEE BURGAS AIRPORT TAXI RATES or search above for cheap transfers from / to Bourgas airport. We provide 24/7 private transfer services from/to Bourgas airport at lower than shuttle service rates. Regular airport transfers are offered to all Black Sea resorts - Sunny Beach, Nessebar, Sozopol, St Vlas, Elenite resort, Ravda, Duni, Pomorie, Sozopol, Tsarevo, Sinemorets, etc. Our courteous drivers will meet you in the arrivals of Burgas airport with a board with your name on it and take you to your resort. We monitor flight delays to ensure smooth airport transfer service. CUSTOMERS SAY IT ALL! Bourgas airport is situated in a picturesque bay on the Southern Bulgarian Black Sea coast, 10 km Northeast of the city of Burgas. Within a 35 km radius of the airport are situated the attractive seaside resorts of Sunny beach, Nessebar, Elenite and Sozopol. In near proximity is also Varna airport - 130 km. At the end of 2004 Burgas Airport was rated "Bulgaria’s Best Airport" and received the award of the Ministry of Transportation for the most dynamically developing airport in Bulgaria. The potential of Burgas Airport for handling passengers and cargo has a strong effect on the trade and tourism development in Bourgas region. Major transfer destinations are Burgas airport to Sunny beach - 45 km and 40 minutes drive and Burgas Airport to Varna120 km and 120 minutes ride. : Burgas airport is located 10km Northeast of Bourgas city center. : There is a Departure and an Arrival terminal at Burgas airport next to each other. : From Bourgas airport head north on road 9 to get to Varna or east on road 9 and then connect to highway E773 if you are going west to Sofia. : A large parking lot is available opposite to the airport terminals. : There are no hotels at Bourgas airport. 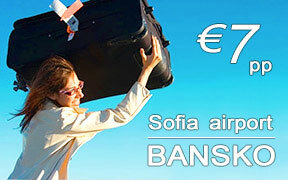 The city is not faraway from the airport (20 min) and you can find a good value for your money hotel in downtown Burgas. : There is an information desk at Bourgas airport: +359 (0) 56 870 248.
: The airport has money exchange bureau and a bank. : Coffee bars at Bourgas airport are located in the public and transit areas of the terminals. They serve beers, hot drinks, soft drinks, wines, spirits, sandwiches and snacks. : The duty-free shop at the airport is located beyond the security control and offers cigarettes, wine, perfumes, cosmetics, watches, sun glasses and other much more. : Trolleys are available free of charge and a lost and found office operates 24 hours. : There is a VIP lounge with all necessary business facilities at Burgas airport. : Special facilities for disabled people are present at the airport - reserved parking spaces, wheelchairs, toilets for wheelchair users, ramps and a lift for loading and unloading to and from the aircraft. There is a baby-changing room in the transit hall in terminal 3, beyond the security control.